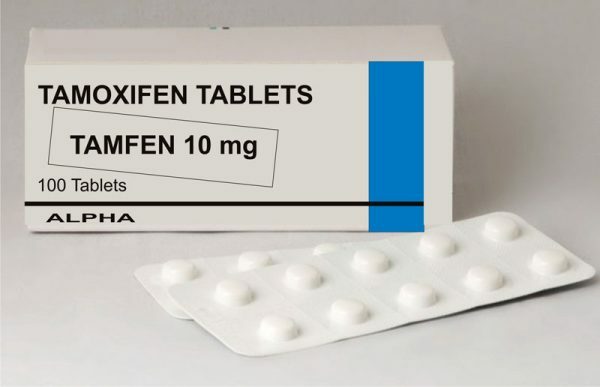 Tamoxifen 10 mg Anti-estrogen, antitumor. Estrogen-dependent breast cancer, anovulatory infertility, pituitary tumors. 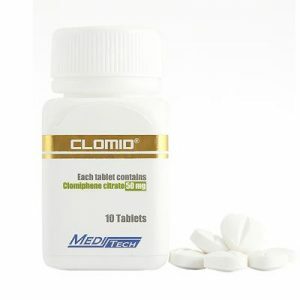 Inside, individually from 20 to 40 mg per day, for a long time. Use during pregnancy and lactation. Tamoxifen is contraindicated for use during pregnancy. If necessary, use during lactation should stop breastfeeding. In experimental studies, the teratogenic effect of tamoxifen has been established. On the part of the digestive system: nausea, vomiting, increased activity of hepatic transaminases; in some cases – fatty liver, cholestasis, hepatitis. From the side of the central nervous system: rarely – depression, dizziness, headache, retrobulbar neuritis. On the part of the organ of vision: rarely – retinopathy, keratopathy, cataracts. From the hematopoietic system: rarely – thrombocytopenia, leukopenia. On the part of the endocrine system: in women – endometrial hyperplasia, vaginal bleeding, hot flashes, weight gain; in men, impotence, decreased libido. Since the cardiovascular system: edema, thromboembolism, phlebitis. Dermatological reactions: alopecia, rash, pruritus. Other: pain in the bones and lesions, fever. Acute overdose of tamoxifen was not observed in humans. Symptoms: It should be expected that an overdose may cause an increase in the above described adverse reactions. Treatment: there are no specific antidotes, treatment should be symptomatic.